Prosciutto, salami, chorizo, saucisson sec—house-made charcuterie is popping up in restaurant kitchens throughout the country. If you'd like to try your hand at making charcuterie in your own kitchen, there are a few books on the market that will help you perform this culinary magic at home. While it has become a popular trend, the technique is centuries-old, originally used as a means to preserve food and utilize off-cuts of meat. Although the word directly translates to “pork butcher” in French—pig is the most popular animal used in the process—charcuterie has become an umbrella term for cured and preserved products from all sorts of species. For anyone looking to try a hand at charcuterie, any of these five books are bound to help you with your cooking endeavor. This book is considered by many to be the bible of charcuterie. 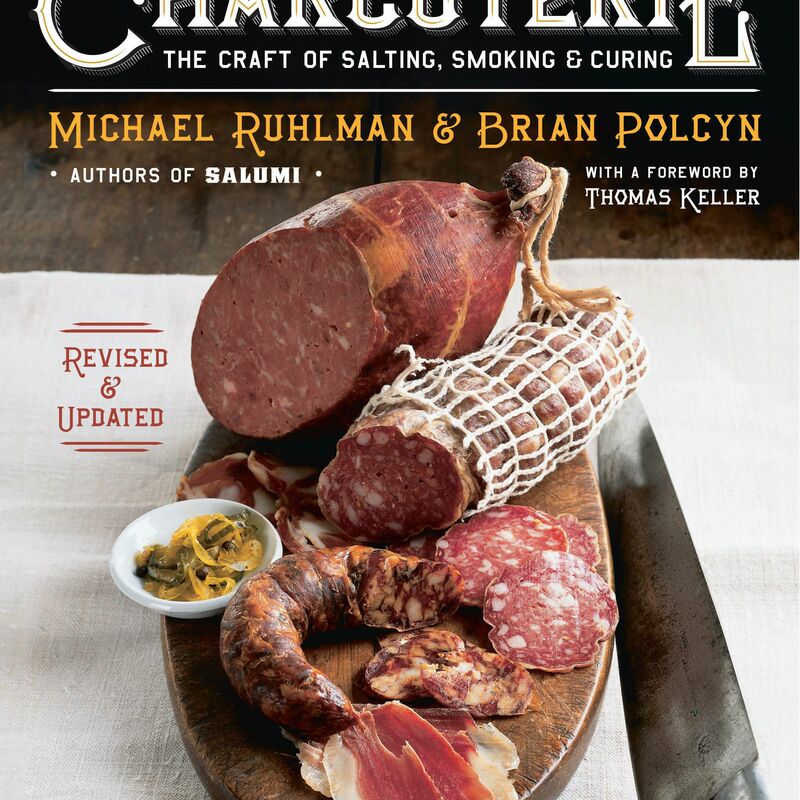 Written by venerated food writer Michael Ruhlman and charcuterie authority Brian Poclyn, it explores the differences and techniques of salt-, smoked-, and dry-cured foods as well as sausages, pates, terrines, and the confit technique. Recipes range from salt-cured salmon and beef jerky to knackwurst and duck confit. The updated version features new recipes, 75 technique line drawings, and information on current charcuterie equipment. Married founders, owners, and chefs of this Californian charcuterie, butchery, cafe, and specialty shop have put 125 recipes and their many years of knowledge and experience into this illustrated step-by-step guide. Learn how to make smoked, cured, brined, braised, skewered, rolled, tied, and stuffed meats with recipes for everything from salumi, sausages, pâtés, and confits. The beautiful full-color photography will also help to inspire. Ciao! A must-read from the Ruhlman/Poclyn team, "Salumi" digs into the Italian art of dry-curing meat. Whereas their other book Charcuterie focuses on the French methods (with some other European techniques), this book is 100 percent Italian. Outlining the eight main Italian pork salumi products—guanciale, spalla, coppa, lonza, lardo, panchetta, prosciutto, and salami—this tome explores the differences in Italian salumi, types of hogs, and cuts of meat. Recipes include not only the charcuterie itself but also prepared dishes, such as spaghetti carbonara and grilled radicchio with pancetta and balsamic. Moving across the Mediterranean, "Charcuteria" delves into the history and mastery of Spanish butchering and meat-curing. Jeffrey Weiss's work is not just a cookbook, but a story of the culinary landscape that is told through his first-hand experiences traveling and spending time with Spanish artisans and families, as well as the vivid photographs shot by Nathan Rawlinson. It is designed to read from beginning to end, starting with a breakdown of methodology and ingredients, moving to charcuterie procedures, and culminating with a wide selection of recipes. The authors' mission when writing this book was to allow the reader to become a sausage maker, not simply someone who can follow a recipe to make sausage. This book bridges the gap between charcuterie textbooks (filled with scientific jargon) and charcuterie cookbooks (filled with recipes), offering clear guidance on the process of making cured meats so the reader can experiment and create his or her own recipes. It covers topics ranging from curing and smoking to fermented and air-dried products. With 172 historical and original recipes, this book will educate as well as inspire.